2019 is here and we are gearing up for another great year! 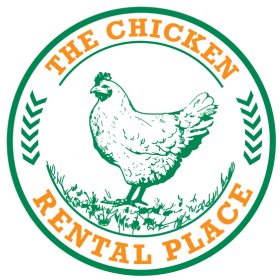 Chicken rentals will be available starting in April. Get your deposit in soon as we have limited rentals available this year. Who is "The Chicken Rental Place" and what do we do? The Chicken Rental Place is an all-inclusive egg-laying chicken rental service. Our rentals include laying hens, coop, feed and all the supplies needed to get you started. Rental periods range from 3 months to 6 months and beyond. We serve the greater Richmond metropolitan and Charlottesville, Virginia areas with free delivery. Contact us for delivery fees outside these areas. Absolutely! With all the local municipalities changing their zoning rules allowing chickens, there isn't a better time to give chickens a try. Healthy fresh eggs, right from your own backyard, with less cholesterol and more vitamins. Plus the entertainment of the chickens for the whole family. You like the idea of chickens, but aren't sure where to start. "What equipment will I need?" "What type of chickens should I buy?" Too many options. Let us help you. E-mail us if you have any questions or want more information. Like us on Facebook for great chicken keeping information and pictures.